Many people may be tempted to get a divorce without a lawyer to save money on attorney’s fees. If you don’t have assets, weren’t married for very long and agree on everything, you may be able to get a divorce without a lawyer. However, there are some situations where you absolutely need a lawyer. If you don’t agree about child custody, it is important that you consider hiring a lawyer. In the absence of an agreement, the court will have the power to decide which parent or parents will have custody, who can make decisions about the child and how much time each parent will have with the child. These are decisions that can impact you and your child for many years to come. A family lawyer can help describe what factors the court will look at when making decisions about custody and visitation. When your relationship with your child (or pet) is on the line, it is important that you have someone on your side advocating for your interests. 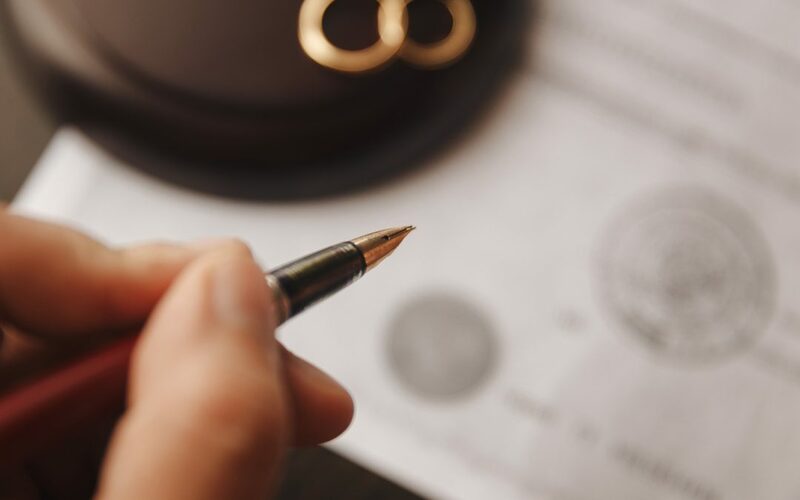 If you and your spouse do not agree about how to divide your property or debt, it is important to have a lawyer who can represent your interests in your divorce. In addition to the typical property like your home, a vacation home, and vehicles, you may have other assets to divide, such as bank accounts. If your spouse has a retirement account in his or her name, you may be entitled to a portion of it. Without a lawyer, your spouse might try to keep more of the property than he or she has a legal right to, or your spouse might try to saddle you with more of the debt. An experienced divorce lawyer can also ensure that you account for all of your property, including any business interests and intellectual property. A divorce order can make important determinations about your life, including who will have custody of your children, how your property will be divided and whether you will receive spousal or child support. Your spouse may try to intimidate you into a settlement that negatively impacts your rights, especially if there is a history of physical, verbal or financial abuse. If he or she is represented by legal counsel and you are not, there is an even greater power imbalance. It is important to make sure that you are aware of your rights and that you have an advocate on your side. Divorce can be an emotional process. You may simply feel that you are unable to handle the ending of your marriage, children, new finances and all the changes that come along with divorce without a lawyer there to guide you. A lawyer can handle communication with your soon-to-be ex or his or her lawyer. Additionally, he or she can gather evidence to help support your position in court. Your divorce lawyer can also propose a settlement so that you can potentially avoid increased legal fees and costs. Even if you think you might not need a lawyer, having a consultation to learn about your rights and what is at stake can’t hurt.